Christmas is upon us! 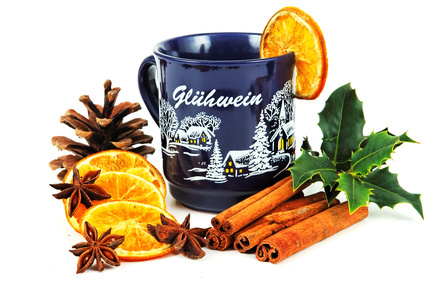 For anyone closely linked to German culture, that means many things, but one of the top of that list is Glühwein. If you visit Germany around the holidays, everyone knows that you MUST go to at least one Weihnachtsmarkt, and have at least one hot, beautiful, soulful cup of Glühwein. Here in the states it is very hard to find premade. If you are lucky enough to have an Aldi’s that sells liquor near by, you can usually find it there. However, some of us are not that lucky. For us, there is this recipe. I hope it warms your holidays, the way it always warms mine. Enjoy! Enter your email address to subscribe to The German Kitchen and receive notifications of new posts by email.